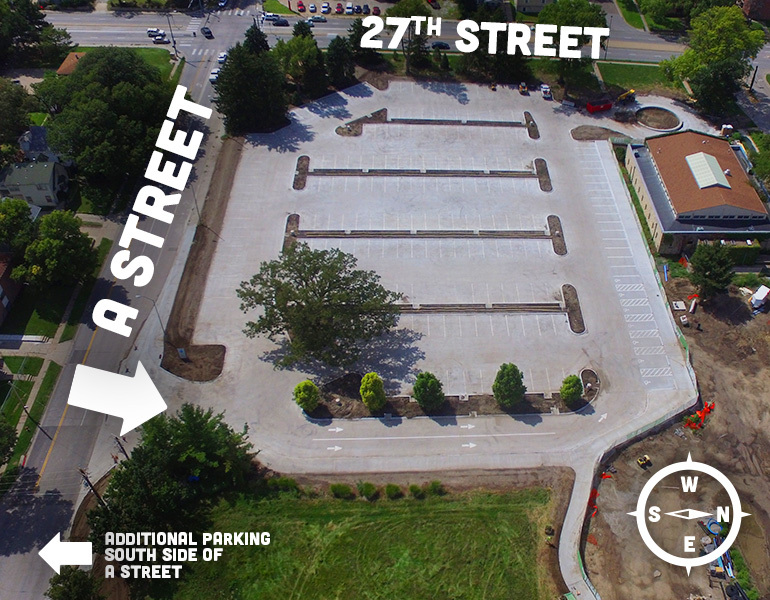 The new parking lot and the additional parking located on the south side of A Street provide nearly twice the parking over the previous space. The new parking lot entrances are conveniently located off of A Street. To enter the Zoo from the additional parking lot, please use the crosswalk and follow the bike path to the Zoo entrance. Get directions.